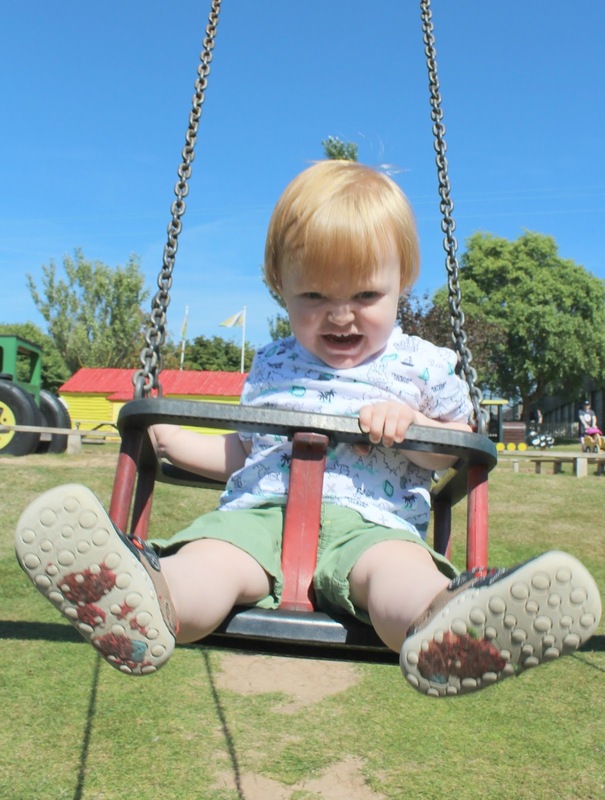 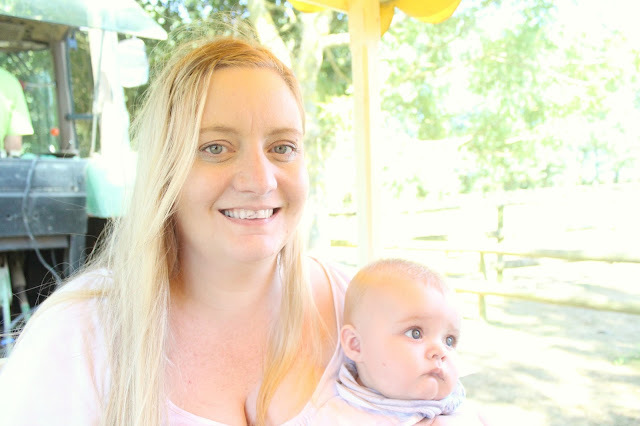 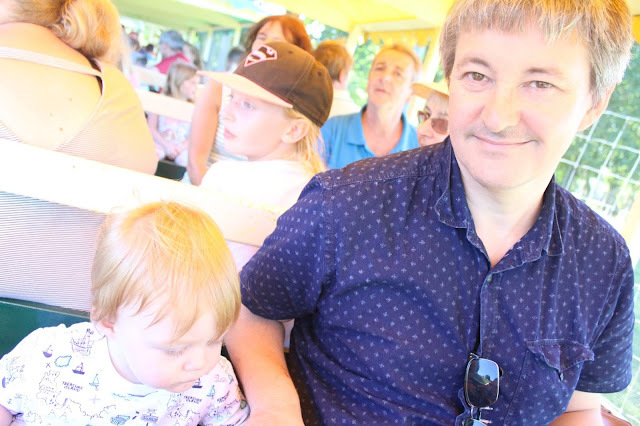 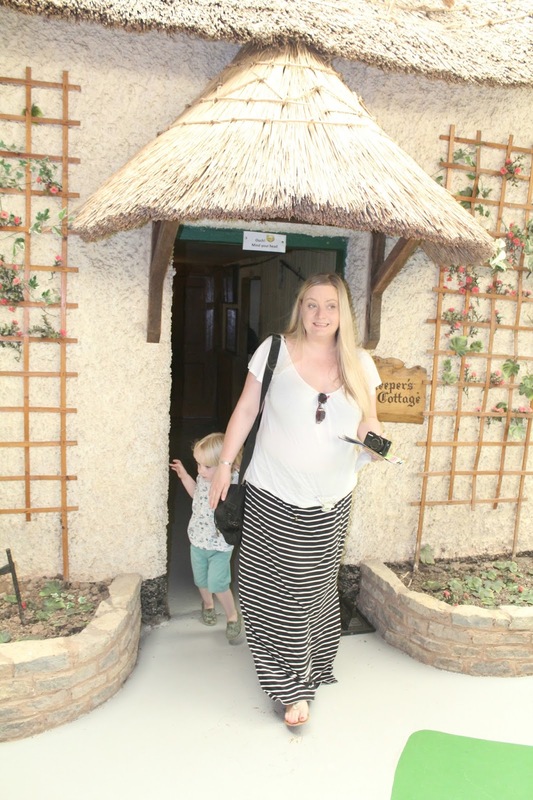 Last week, on one of the beautiful Sunny days we've had all Summer, myself and my little family headed off to a tourist attraction in the nearby town of Exmouth. 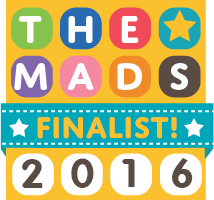 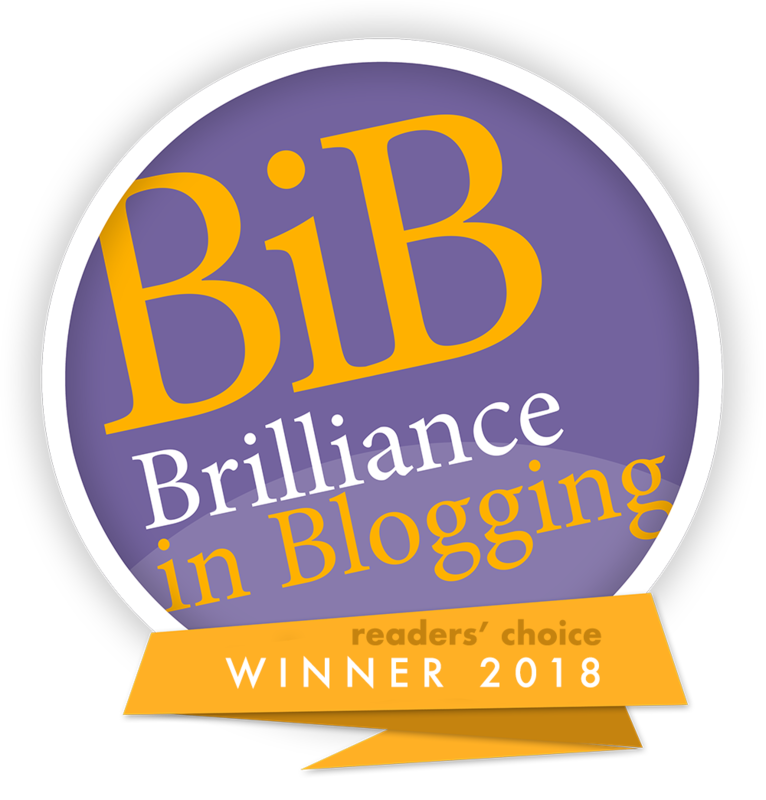 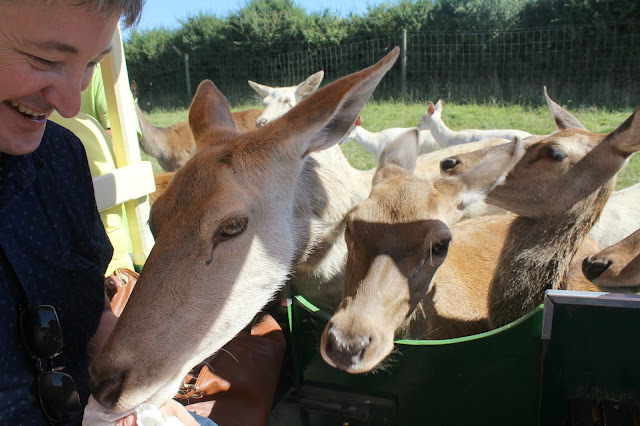 I'd read that World Of Country Life had won the Gold in the 2014 Visit Devon Tourism Awards and I was keen to find out why! 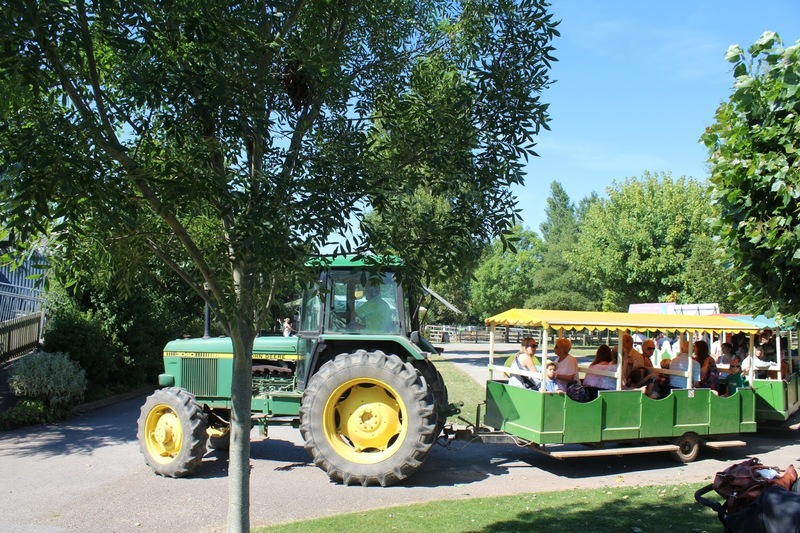 Given the name of the attraction, I expected some farm animals and maybe a park - I didn't expect to find quite so many acres of land with so many different things to do! 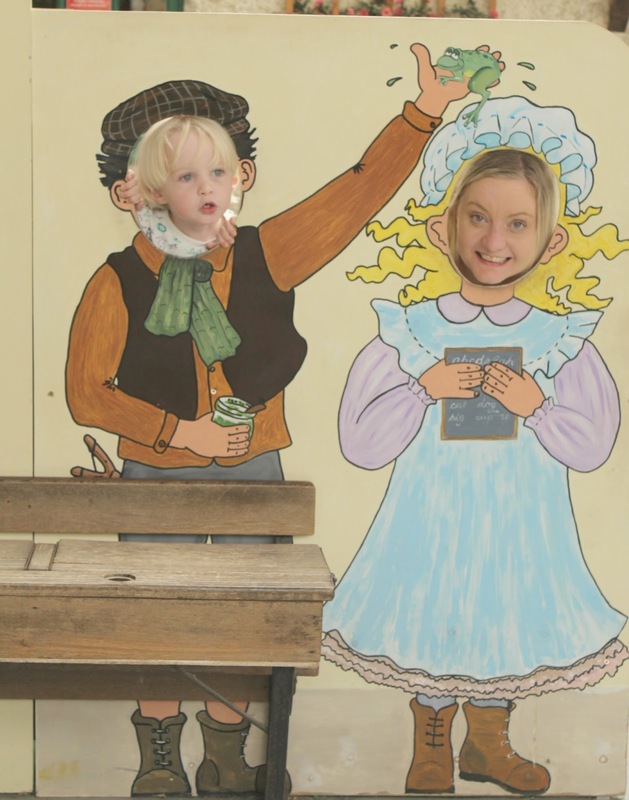 There really was something on offer for everybody here! When we entered, we found ourselves in a quaint little museum area - there was a replica of a Victorian street with little cottages you could walk into and look around, and shops and pubs where you could do the same - my 3 year old son loved this and walked around them all chatting to me about the different things on display, talking about how people lived in the olden days and pretending to be an "Olden days boy" in his olden days house! 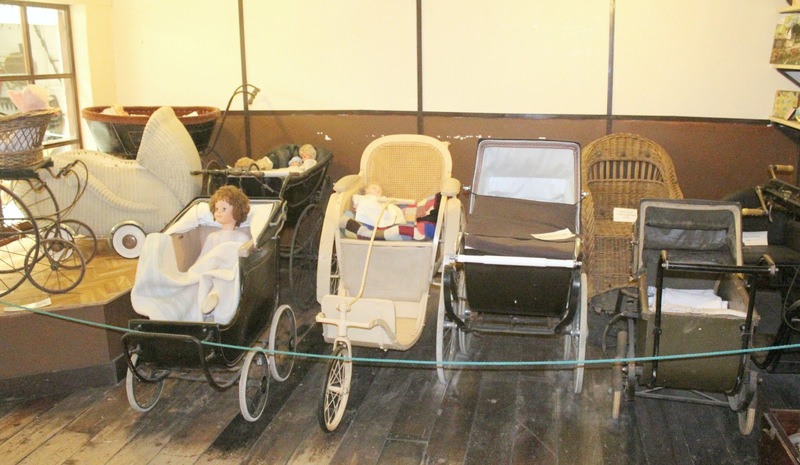 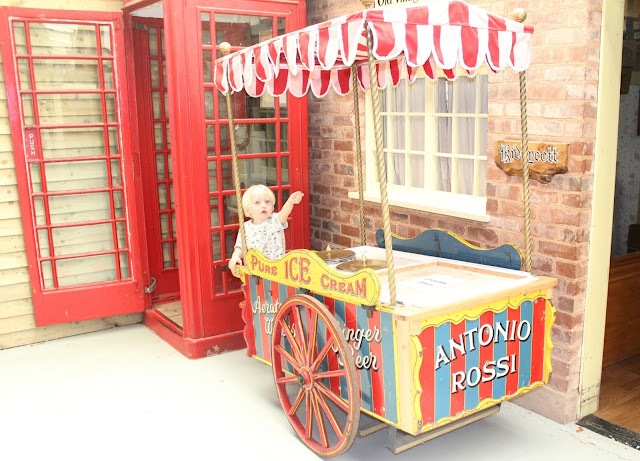 I personally loved looking at the display of old fashioned prams! 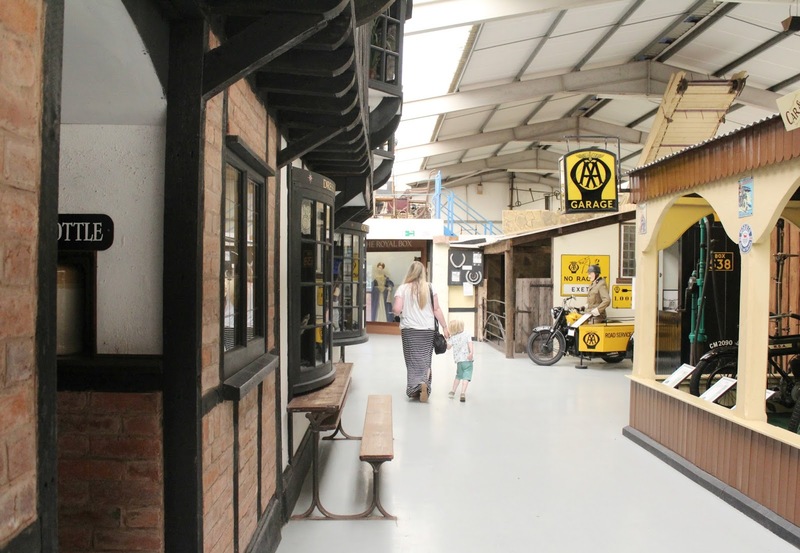 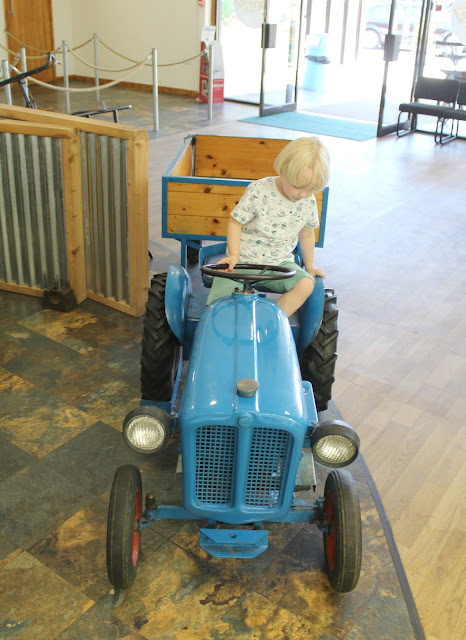 There was also a transport museum where you could see old fashioned cars, tractors, trucks and trains. 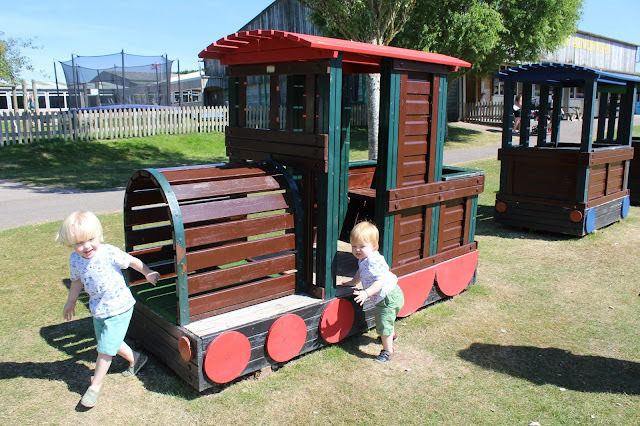 Outside the museum, was a large outdoor area with plenty to do! 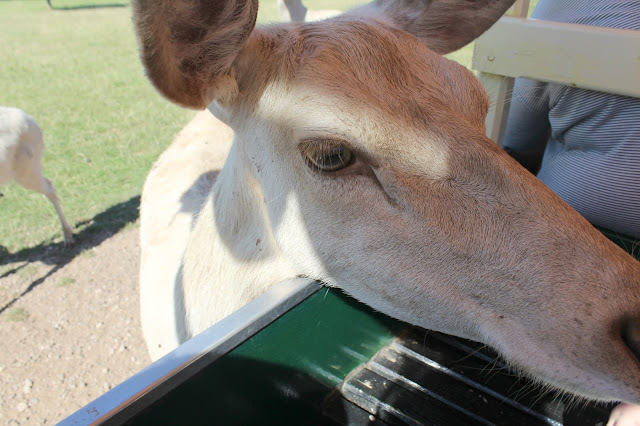 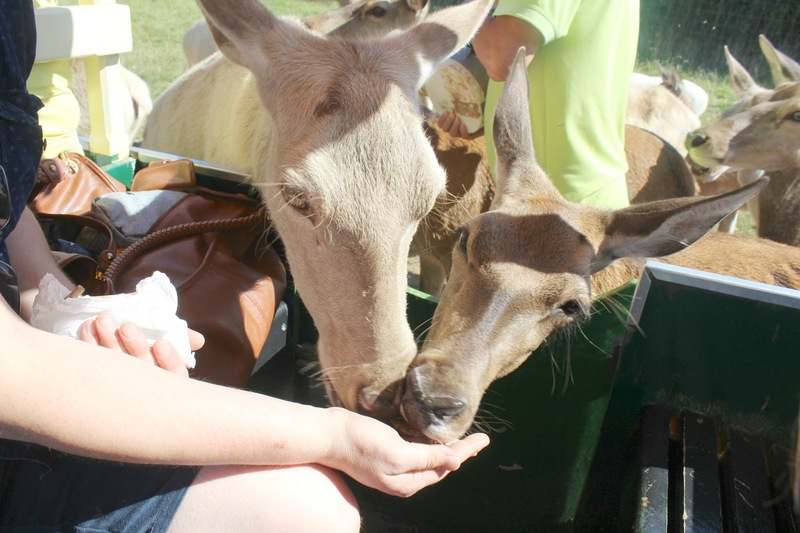 There were farm animals such as ducks, rheas, wallabies, donkeys and shetland ponies to visit. 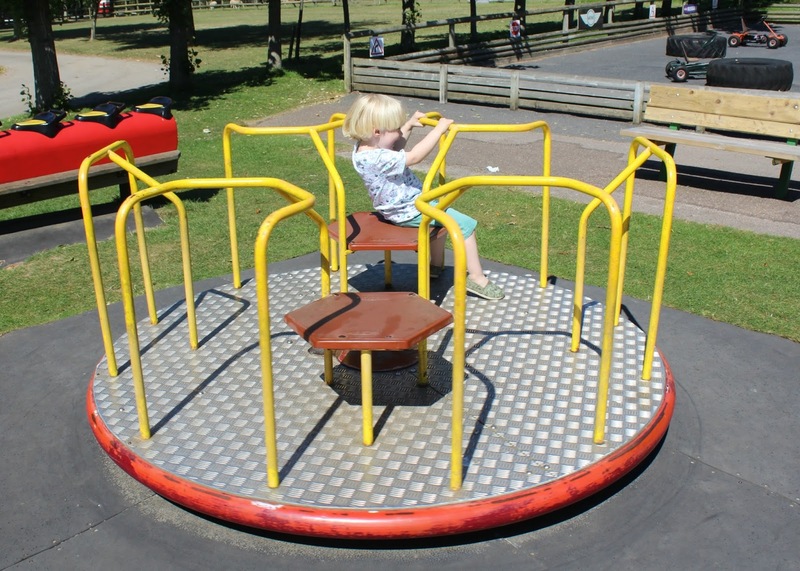 And there was plenty of park areas, sand pits, trampolines and a bouncy castle to keep the children entertained. 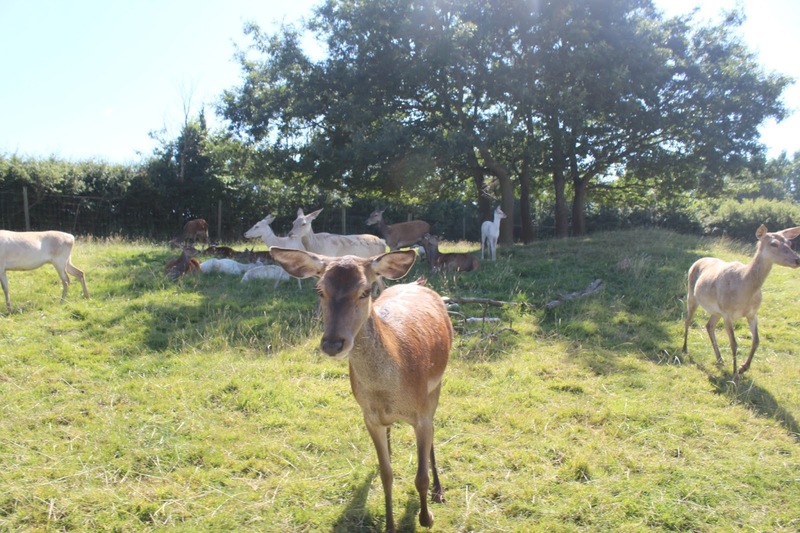 They were delighted to run around trying the various things out, and spent a good hour or so keeping themselves entertained here on such a lovely sunny day. 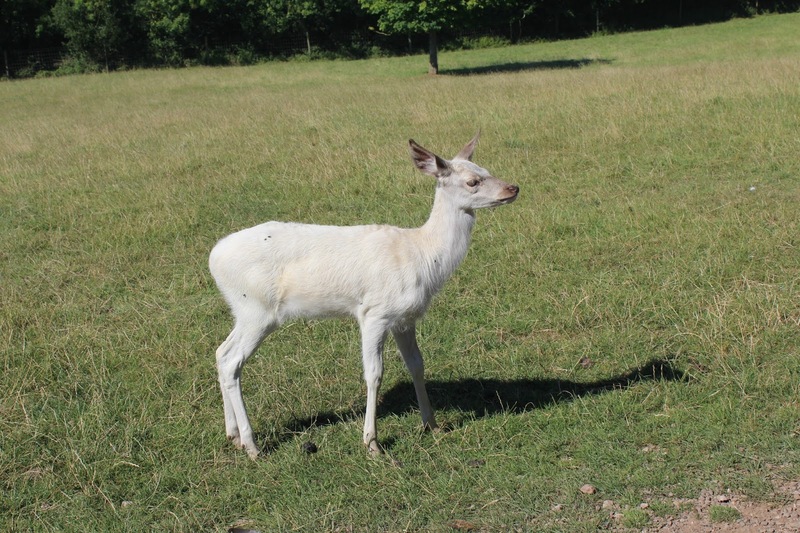 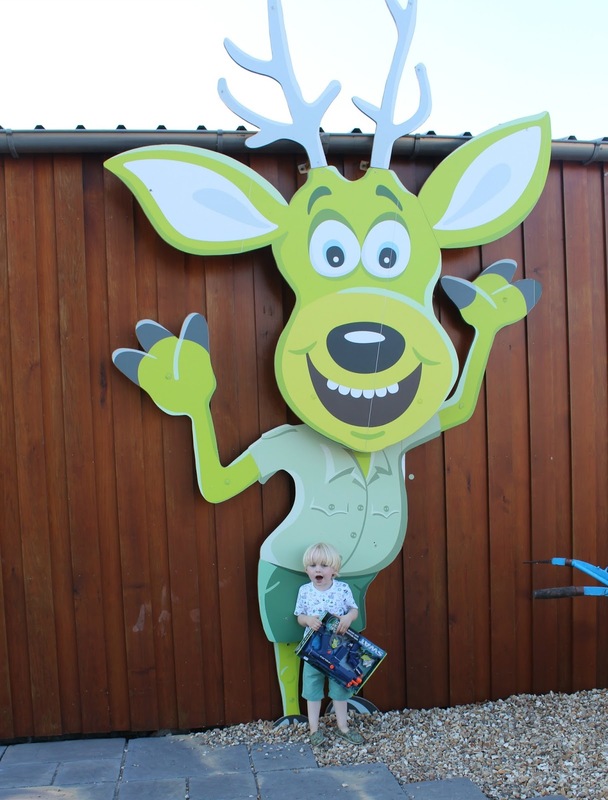 After a good play, we headed off to the Deer Safari* which is the part I had most been looking forward to - Deer are my favourite animal and I had never had the chance to see them close up, so I was very excited! 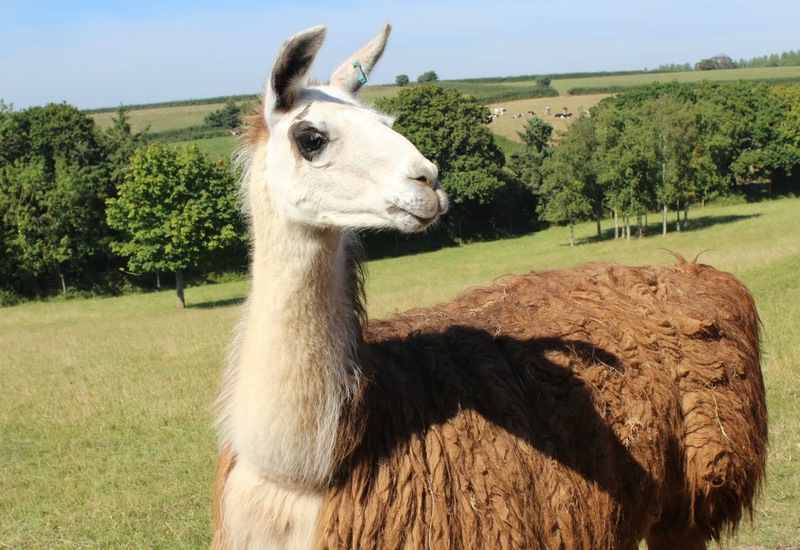 There was also a couple of Llamas who came up to see us, too! 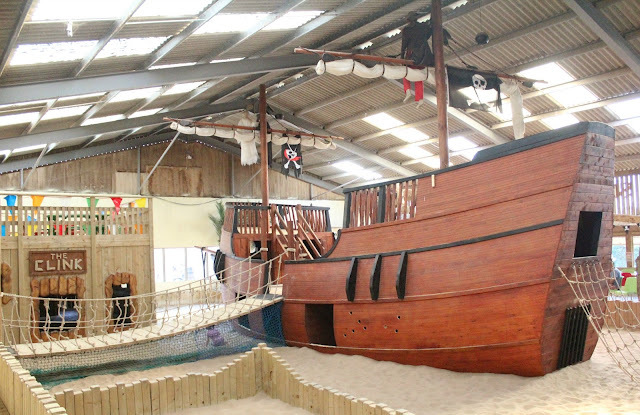 After the deer safari, Tyne (my 3 yr old) was keen to head to the Pirate Ship...we expected this to be a small play area but we all gasped when we walked in and were confronted with this! The most enormous and realistic pirate ship any of us has ever seen! 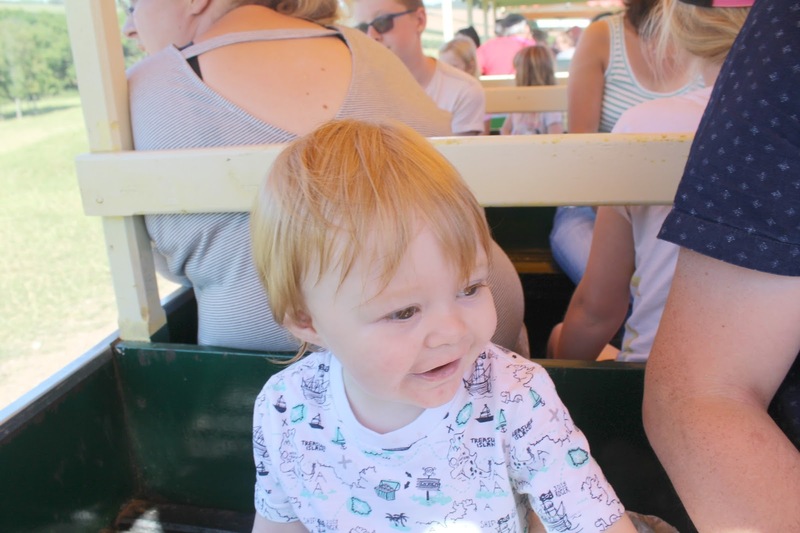 Tyne was in his absolute element in here, he quickly made friends with another little boy on the ship and after that - we could not get him out. 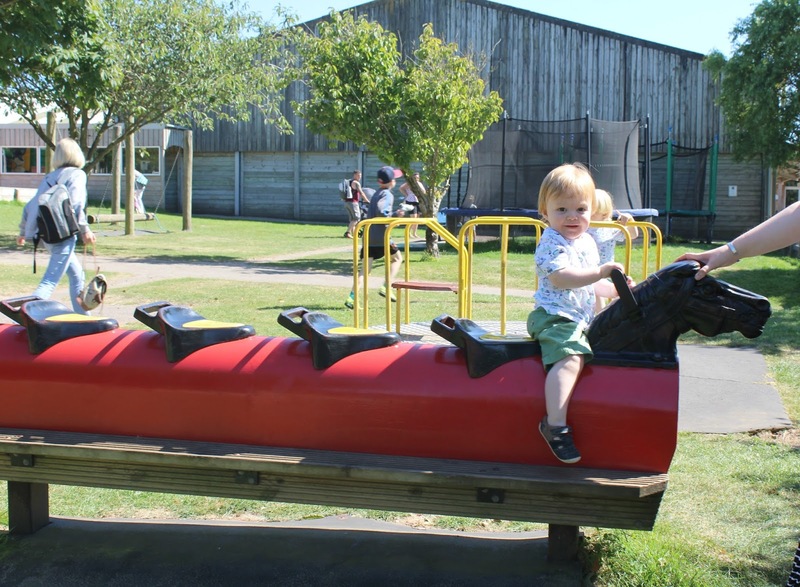 Infact we ended up missing some other areas of the park because he just didn't want to leave the pirate ship - he adored it! 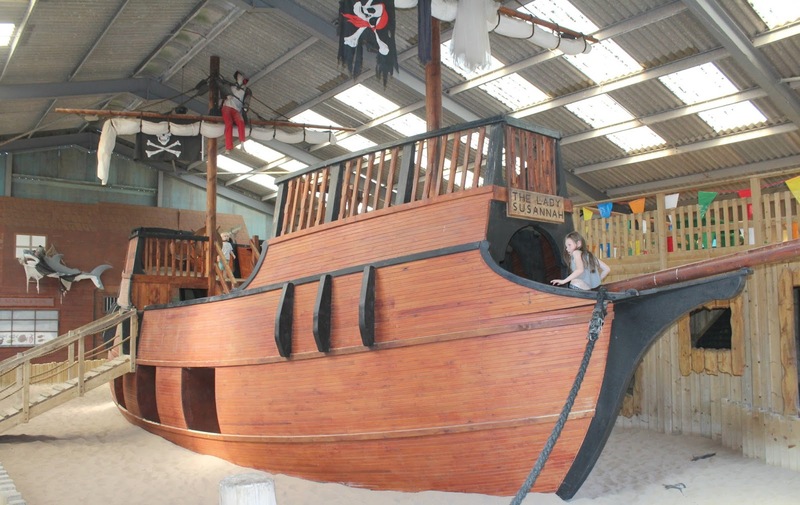 Luckily Noah, my 17 month old, enjoyed playing in the huge sand pit which the pirate ship sat in so he was entertained too...he also had a bit of a wander around the ship himself. 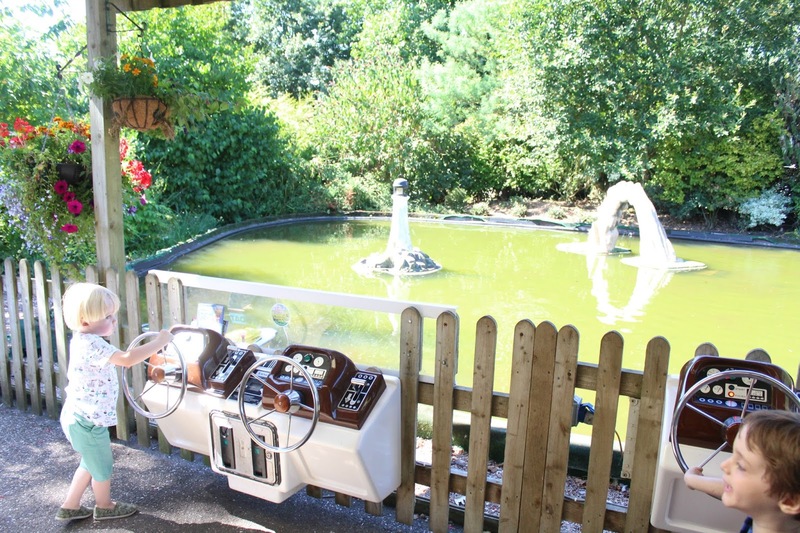 World Of Country Life has many more things on offer such as soft play, crazy golf, boat and orbiter rides, and lovely old fashioned things such as Drive your own boats which I remember fondly from my own childhood. 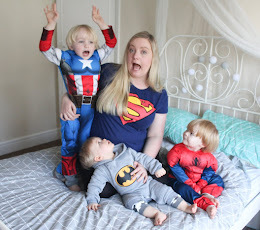 But there was so much to do that we honestly struggled to fit it all in! 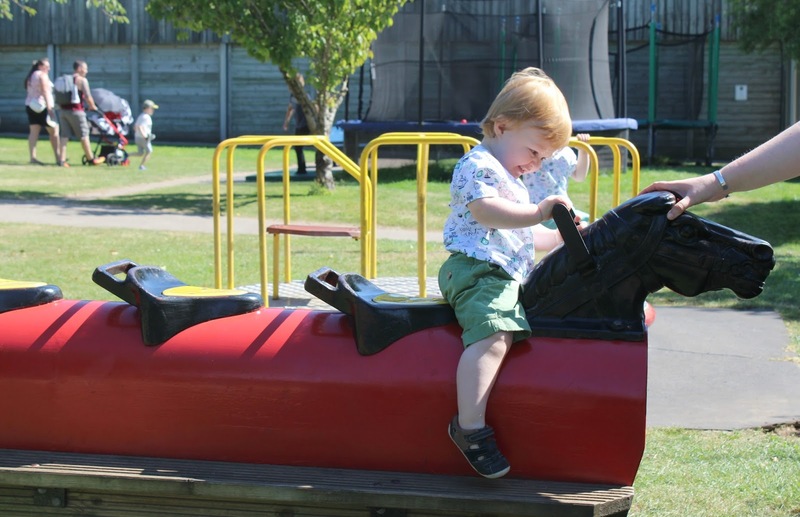 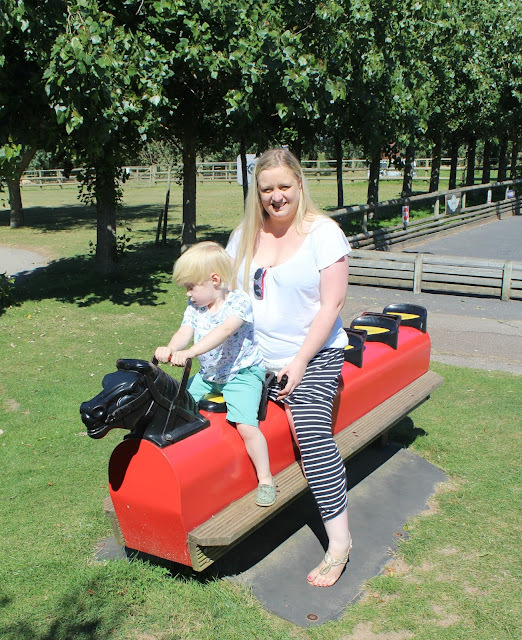 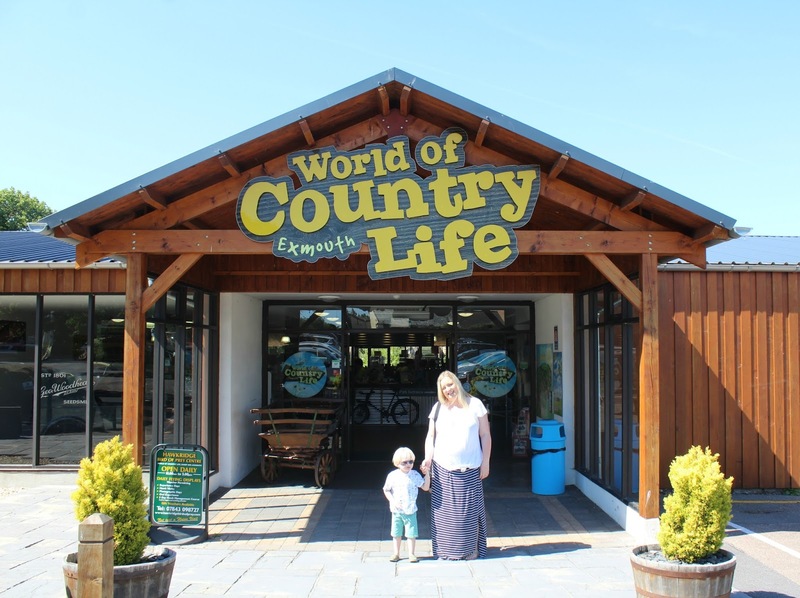 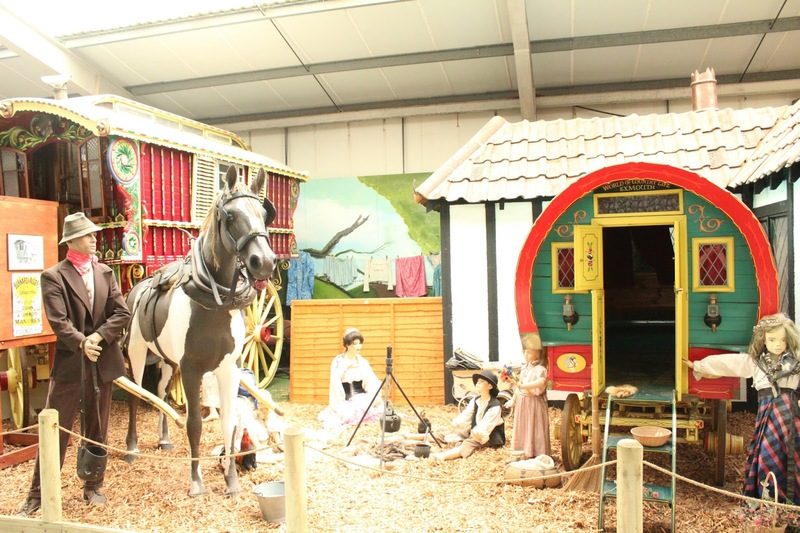 We would certainly visit World Of Country Life again and again, and highly recommend it for families visiting the Devon area on holiday...this is the kind of place where memories are made!